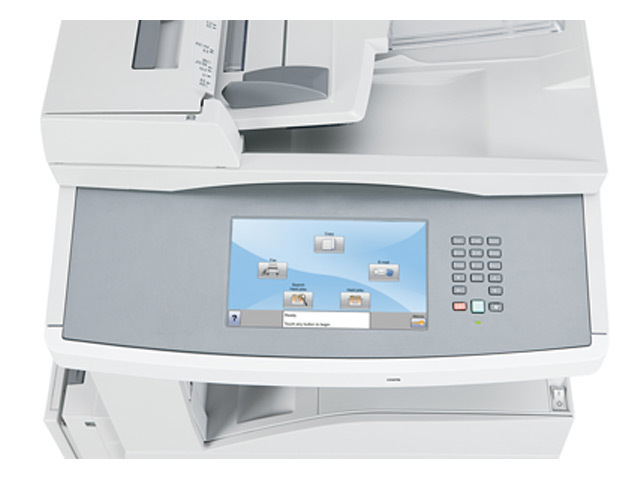 The Lexmark X860de 3 MFP streamlines office work with efficient duplex printing, copying and scanning, wide media support up to A3, and output speeds as fast as 35 ppm. 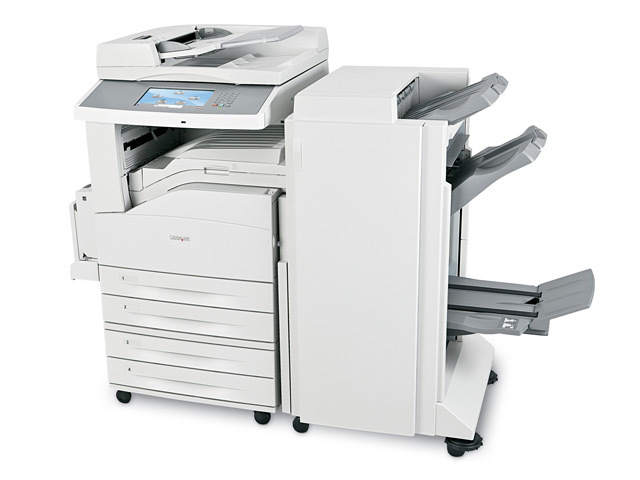 Save time, money and office space by eliminating pre-printed documents and producing more of your print jobs on demand and in-house. Finishing options include stapling, hole punching (2/4 holes), offset stacking and booklet folding with overlap adjustment. 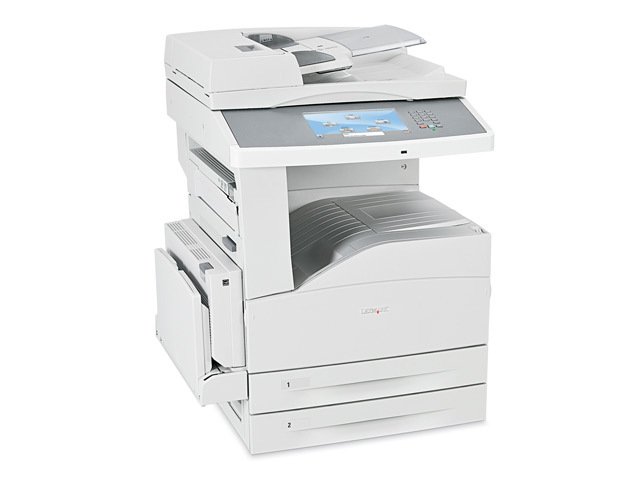 Built for your most demanding document needs, this powerful multifunction device supports media sizes up to A3 and delivers print and copy speeds up to 35 ppm. 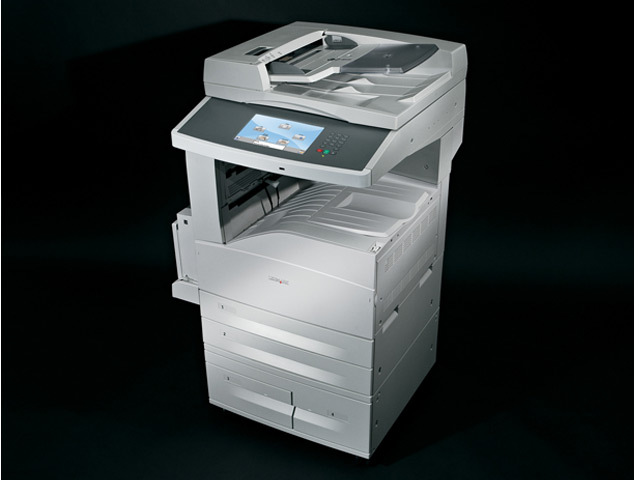 Fax option available, or consider the Lexmark X860de 4. 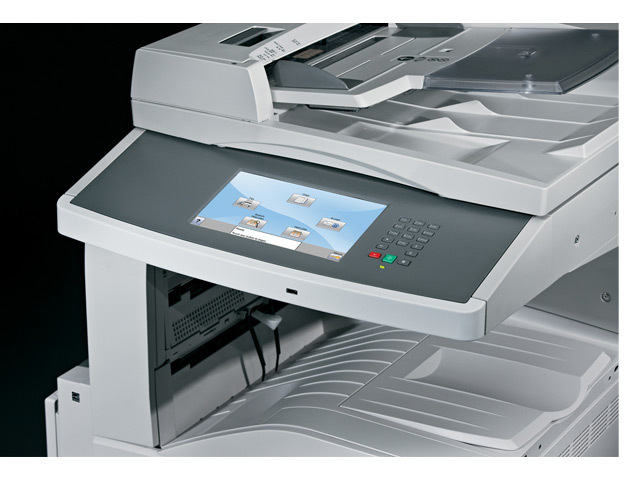 Ideal for high volumes, the Lexmark X860de 3 monochrome laser MFP provides automatic duplexing and standard input capacity for up to 1,100 sheets, expandable to 5,100 sheets with optional paper handling accessories. Trays Extended (in. - H x W x D): 31.5 x 38.25 x 27.75 in.